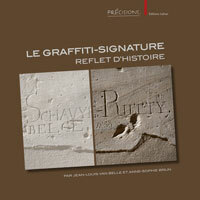 A. TICHIT, « La « renaissance » de l’hébreu parlé : continuité et rupture », Res Antiquae 4, Bruxelles, 2007, p. 149-158. This study shows how Modern Hebrew is linked to Biblical Hebrew through morphology, whilst it is distanced through syntax. But it is through semantics that there is the most innovation. In fact, the « renaissance » of spoken Hebrew, the initiative of which is above all due to Eliezer Ben Yehouda (1858-1922), fonctions thanks to the use of the classical heritage of the Scriptures read again according to the sociolinguistic contexts of the speakers concerned.